This week’s Monday Cover features Xavier Pinard with a tribute to Spring. In addition to being just around the corner, Xavier shows us that his spring is just over the hip. 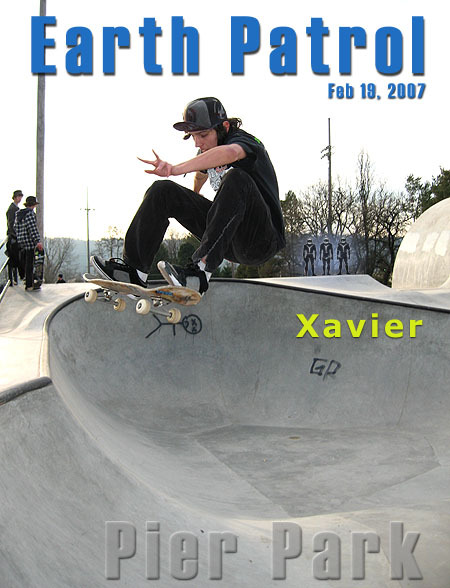 Here he is with a stylin’ frontside ollie over the hip in the mini-bowl at Pier Park.